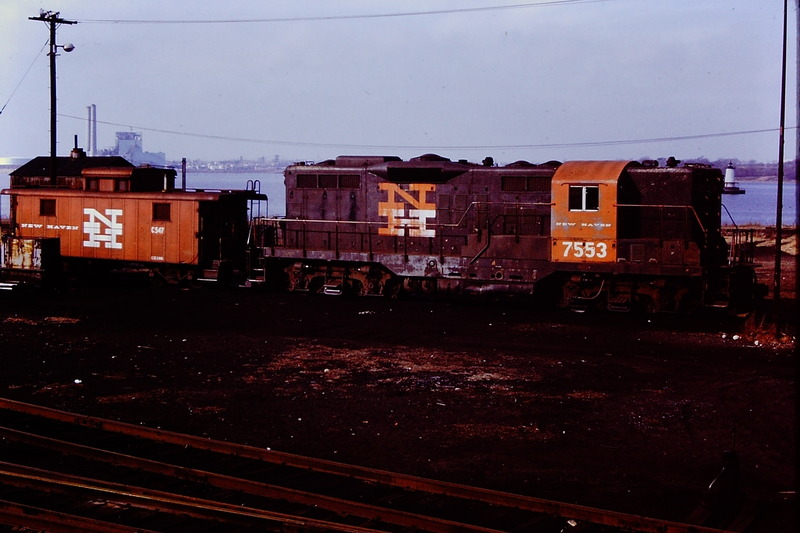 Ex NH GP9 and caboose at Ferry St. yard, Fall River MA. Loco and lighthouse -- might be a first! Photographed by Steve Brayton, January 23, 1972.